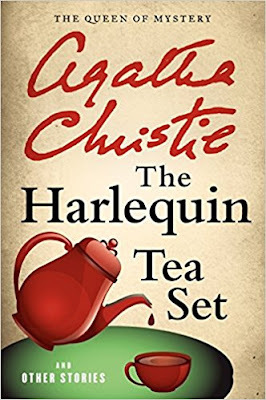 Summary: A colorful tea set plays a pivotal role in the short story given star billing in this collection by the woman considered the queen of mystery, Agatha Christie. My thoughts: For women who write and/or read mysteries, I think it's important to have at least a nodding acquaintance with Agatha Christie, and since I'd read only a couple of her books, I decided this short story collection with "tea" in the title would be a good place to start. It did not disappointment, and I was impressed by the brevity with which she was able to lay the groundwork and effectively create a mini mystery with each story. The judgment: I liked "The Harlequin Tea Set" just fine, but it was not my favorite short story in the book. I liked "The Edge," "The Actress," and "The Lonely God" much better. I noted that the old mistaken-identity device was used in her stories several times, but I always enjoy that one. I once heard it said that there are only seven different plots in the world (don't ask me to name them! ), so if that's true, it stands to reason that some of them will be repeated. And if the story's interesting, I don't mind that at all. I thoroughly enjoyed reading this collection of stories and think other tea lovers would too, as tea is mentioned in almost every story. • In "The Harlequin Tea Set," there was a passage I found myself nodding along with. The narrator is commenting on the hostess: "Continually offering people cakes, taking their cups away and replenishing them, handing things round. Somehow, he thought, it would be more pleasant and more informal if she let people help themselves." I certainly agree with that assessment, and it made me wonder whether perhaps most of us prefer a hostess who doesn't hover. Your thoughts? Somehow when I looked for this month's book on Amazon, I bought only the title story, not the whole book. I've read many (probably most) of Agatha Christies' works, but had not read this story, and thoroughly enjoyed it. Now you've made me want to read the rest of them! I agree about the hostess not hovering. I feel that way about shopping, too - if a salesperson hovers, it makes me uncomfortable. I'm sure we, as tea hostesses, do not want to make our guests uncomfortable at all! And I do know that should have said "Agatha Christie's works" - but I only caught the misprint after I hit "publish"! I have read The Edge, and The Actress so far, and enjoyed them both. I am currently reading the first of the Deborah Crombie series. I will look for next months book. No, to the hovering hostess! When I have a large tea party, I use a server. She suggested, I ring a bell when I would like her to appear! It makes me feel so civilized, ha! I read only "The Harlequin Tea Set," but since you recommend those other stories, I'll read them, too. I have never been a big Agatha Christie fan, although I've read a few of her works (like "Murder on the Orient Express"). 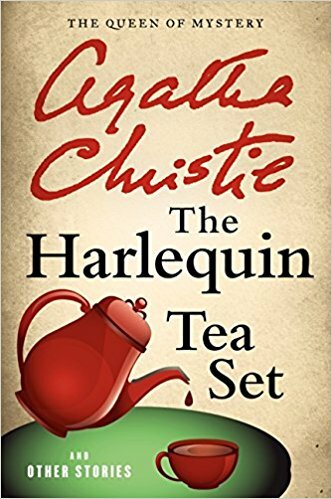 "The Harlequin Tea Set" was amusing to read, but not great. I did enjoy some of the wording, particularly this description of the cups: "Big round cups in different colors. Black. Yellow, red, and a particularly pernicious shade of puce." If I ever see a puce-colored teacup, I will remember that phrase! 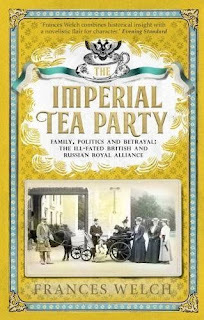 The book for next month sounds fascinating!